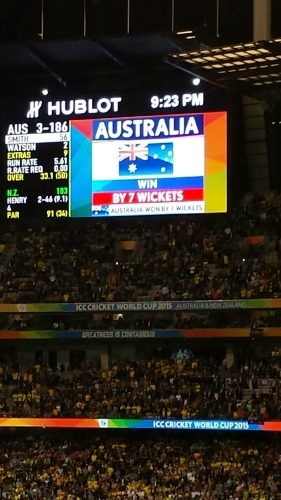 We’ve been following Australia’s road to victory over our last few newsletters (Feb & March). Today we thought that we would share the wrap up that will be included on this month’s newsletter along with some fabulous photos of the main event! 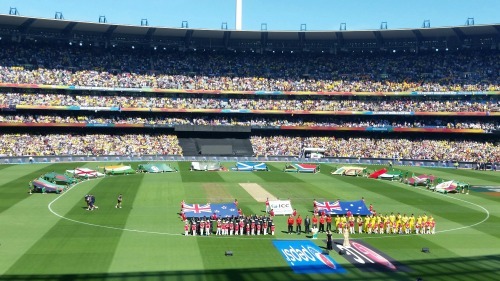 After 49 matches across 14 venues in Australia and New Zealand, Australia have won the 2015 ICC Cricket World Cup. 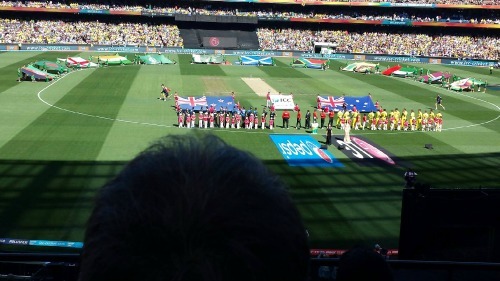 EES Shipping Directors Geoff and Glenn were at the MCG in Melbourne to watch this highly anticipated encounter between the host nations. The two had already met in the group stages with New Zealand winning the game in a thrilling encounter seeing New Zealand batsman Kane Williamson hitting a six to win the game. There was only 1 wicket separating the teams in that game in Auckland and that was the only loss of the tournament between the two teams. 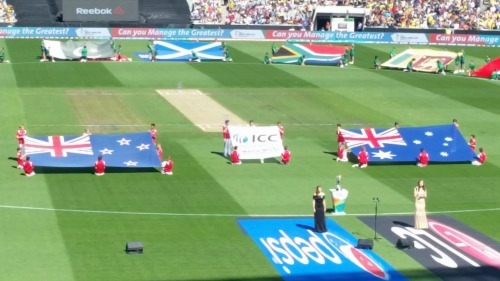 New Zealand won the toss and batted first and after two incredible deliveries from player of the tournament Mitchell Starc, New Zealand captain and danger batsmen, Brendan McCullum was bowled on the third ball for a duck. Two more wickets fell quickly and NZ found themselves in trouble at 3/39. Ross Taylor and semi-final hero Grant Elliot got together for a fantastic partnership and NZ looked to post a score around 250-280 until man-of-the-match James Faulkner tore the batting line up apart. NZ going from 3/150 to all out for 183. 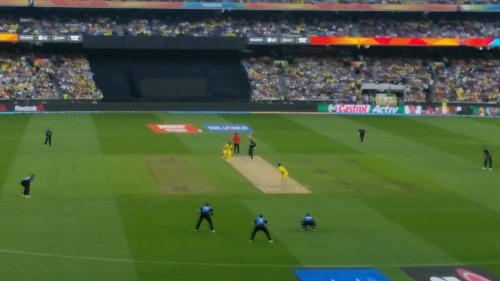 Australia went in to bat and besides losing Finch early, never looked overly bothered in getting the total with Warner (45), Smith (56*) and Australian captain, Clarke (74) guiding Australia to the win in the 34th over, 3 wickets down. It has been a great tournament with too many highlights to list and we congratulate all teams involved for making it such a success. 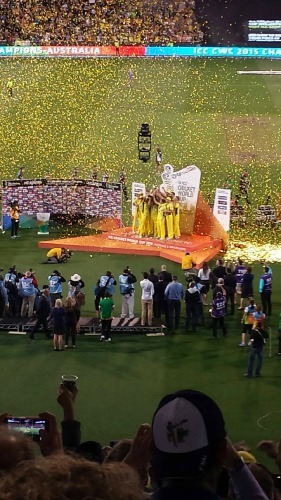 Well done to New Zealand for making their first world cup final appearance and congratulations to Australia for winning their record 5th title. We look forward to England in 2019!